I have been asked to look urgently at the case of Dylan Redwine. There are many pending requests and I am doing my best to get around to looking at them all. However, Dylan disappeared on 19th November and at the moment there does not seem to be any sign of him. While I am happy to try and assist by producing what Tarot has to say, I CANNOT guarantee that what I see is going to be100 per cent the case. I can only write what I get and if it helps then I am always glad. Please do not write in and expect every single detail as I am not able to produce more then Tarot gives to me. Tarot is past present and future and when reading the Tarot I would suggest that you combine all the information with the hope that it might trigger something useful. Tarot is not considered to be FACT therefore you must make sure that you go to factual sources of information to check or validate information that comes through and future reports also. 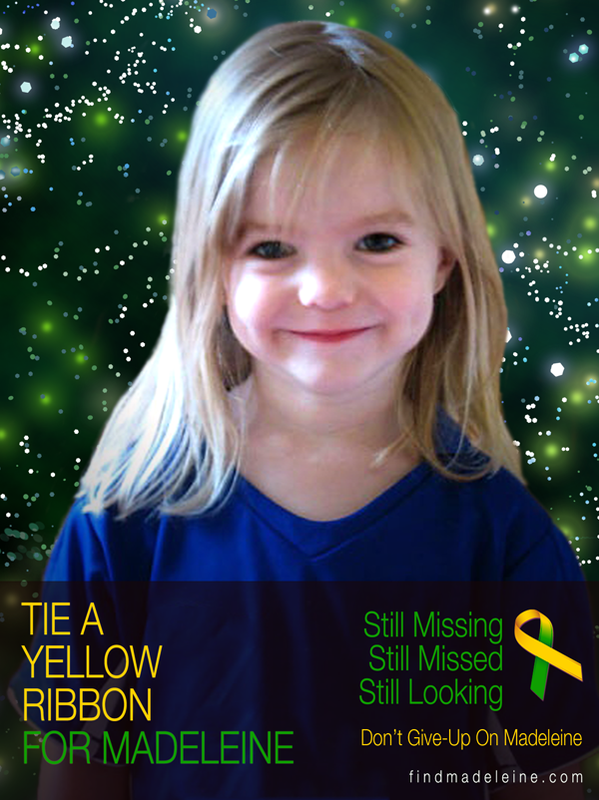 First of all I really find it very concerning seeing more and more young children going missing. Fortunately some are recovered quickly but there are a lot of fears about Dylan at the current time. Here is another gorgeous looking boy and so many people frantic. My first card does not turn up anything too obvious though. I have been given the Lovers card which to me is a family card, it does not say whose family just a family. Initially, we may have a North West direction and then I am seeing links to parents or friends of family or known to family. I have not read the backstory to this boy and I want to just write what I see. Here we are given initials B and J D or R which are either people or places. This card seems to advise that perhaps two people could give advice on where this child is. There may be a vehicle involved here. I cannot say WHAT type of vehicle but I am thinking car, and we are going out of town. Generally the out of town would normally be South to South West but I will check on that. We are 'escaping' a situation perhaps or someone is? Im just seeing some kind of decision that has to be made? There may be 'two homes' OR places? connected to Dylan. Maybe we had to choose between people or friendships? I am getting the number 6 here which could be route or distance or have other reasons for showing. This card leads me into new friendships or some friends? I am getting a link to the past here. I am also seeing an M or W - water or water name MIGHT show up here also a bridge or white bridge. Something White at least. I feel like he had a meeting or met up with someone? A fast flowing river may be nearby? Im getting - something 'smelly'. If this card has any negative connotations, it can represent a stalker or someone in or around the family and it could lead to respiration problems . It has not come out that way but it does lurk underneath as possibilities. I hope he was not surrounded by anyone weird or anyone with odd sexual tendencies. (This is not always necessarily the case) I seem to see a man here and a 'Hill' or Mountain. I dont like suggesting things like this but it can or could come up. So could camping places or places that are out of sight or being hidden for that matter. Churches or church names might come up as well as the letter K or keys, quay or lock. A forked path might literally mean a fork in the road or it could suggest that choice we have to make. There is also a possibility of going off on our own to see a 'man' or someone and /or wanting to be alone or being left alone. Im getting something about twins or once again choices. West is coming up the strongest (I thought I saw that) either between North/south and I might be inclined to pick North or that those two directions mean something. There might be someone here who is tall and thin with dark hair with good reflexes and hazel eyes. Perhaps also we should note the word Hazel for other reasons. Descriptions of places are in a series of keywords and need to be applied in that way or they could be actual vicinity but they would be hills and mountains, high places, barns and storehouses/storage, corn and grain. Libraries and studies, the walls of houses, the hall, playrooms, chests, drawers, coffers and places where money is stored or kept, ie, this can mean money in the name of a place, like Bank or Purse etc. Seeing or feeling 'up high'. This could even apply to houses or upper parts of them. There may be some connection at some point to shops, markets, fairs, schools, common halls, bowling-alleys, tennis courts. Someone 'shifty' in the picture? When I see the family card upright I look at it and have to take it as it is and over rule dubious matters because if there are any there they are under the surface and nothing I can see as standing out right away, meaning that on the surface things might appear to be ok but there does seem to be some kind of choice here and there could be water in the picture because barren land or going to areas where there is a stream might come up and it could possibly rural and for some reason also I am getting a GARDEN but also a connection to a familiar vicinity. Dylan may have had something with him like belongings. In my first picture it could be wallet or bag or something that he might have carried or someone else did? I do have some kind of inkling that with this set of cards the journey of them may be showing either a note/ticket or piece of paper but at the same time theres a kind of 'secret' element here. Perhaps someone who keeps secrets? Is somebody pregnant? or some period linked to 3 months? I am seeing possible 'roses'. There might be travel in a car. Im seeing a 'milestone'. A possible invitation to go somewhere too but not sure how that fits in. Really on the surface of it it just looks like this boy was invited to go somewhere? I am not correct about every single detail but I give what I see and have to accept what might not be quite right. This boy is quite young but does he have a girlfriend or a female friend maybe there could be a female with dark hair. I am seeing someone in blue or blue something on their head? Generally this card would be telling me about delayed court disputes or it can also represent a lot of arguing and even violence. Equally it can suggest being in a group of people where something negative breaks out. Reversed wands are NOT good cards they show trickery, treachery violence and quarrels. The card here is number 5 which might be a distance or a route and the card is South. We also must consider that this can be a sporty card, and a heat /fire card so could represent places like that such as sports/gyms/fast cars/speed tracks/football fields but also confined spaces like wardrobes and closets can come in. I have to put that because it comes up on this card and might represent names of places. I am seeing 'negative home' .Some bridge/River seems to be not far away or perhaps again thats the name of somewhere, boats/ships or even names of them in street names could even be possible. I just see shouting and yelling but more then one voice. The word Victory or words that link to that might show up as well as the word Ash. A situation that gets nasty might require a change of plans? Has someone here lost their temper, I do hope not. Aggression is very strong in a reversed mars /wands card. Someones got far too much pride. Keywords coming up can be taken from this description which is either representing a person or in its own way trying to tell us about a place. If its a person, it will be someone with a large round head and prominent eyes. They will be strong active and very sporty with a good hard grasp - that stops someone from going somewhere or halts them in their tracks. This person would be larger or taller then the average person might have fair or sandy hair maybe a touch of red. They could also be inclined towards baldness. Someone might wear a wig ? or if they had longer hair a curl is in it. As place names, the words Fair, Sand or Sandy, Red, Curl or Bald might help. North East is here but that card is reversed and could be North West just as South could be North. Someone is in the dark. Someone who tries to overpower us and could succeed we are not strong enough for them. Airport might be someone in the vicinity. Walls fences etc or boundarys or barriers? Places that could have any of these keywords or be actual vicinities. Described as theatres public buildings and monuments, public halls, auditoriums, parks. Royal names like King or Prince etc palaces, castles, forts. Inaccessible places, deserts, forests and areas where wild animals roam freely. Chimneys, forges heat and fire. Also construction or construction workers, maybe bricks and mortar? Yellow Red Orange and Gold. If person, same as described above. Search and find shows a two week period. This could just mean a 2 to find Dylan as in a route or distance or it could mean connected to two in some other way perhaps there are a couple of others here too? but this card is a definitive South which could be the name of the district or the direction. Note here on this card it is also a wands card they are normally weeks cards so three weeks or being found within that time however, we do have to be careful not to take that completely literally and suggest the Three as the most important number. There seems to be a choice of two places to look and I have the word SURPRISE so it could be suddenly by surprise? or a name. Meanwhile most of the references written for the five of wands can apply here but also being up high. Maybe roofs or attics could come up or just that it means being up somewhere high or the name of a route or road with the number 2. There are some uncertainties on this card about being found or some decisions about it perhaps a new plan has to be looked at? Im getting the same person described as of the five of wands please take note of what has been given there. East comes up on this card so South and East come into the picture somehow. Sandy and hilly ground, newly built land or where construction work is taking place. Land where sheep and small cattle feed or stables for small animals. Unfrequented places where criminals find refuge. Everything to do with building materials, heat or fire. Smiths, shops, furnaces, slaughterhouses, bricks, charcoal chimneys, forges. These may be names of places. A Tuesday is given as a reference. The word Victory and VINE might come up. A car that possibly needs repair? Water elements are on this card even overlooking water. I would have thought that Dylan would be found due to the reconcilliation/renuion element on this card. Therefore I sense there may be a recovery. First a period of waiting and required co operation. These are the possibilities or ideas that Tarot seems to give. Whether or not they will be useful remains to be seen but I offer them should they help in any way. Please read everything in combination to each other as it represents past present and future elements and that must be remembered. Tarot delivers it all in one 'lump' and I am not able to always seperate the issues. Tarot does not guarantee every detail as accurate. If I have overlooked anything I will come back to write it. PS. The Two of wands can stand for JUNCTION. Smell might even stand for Smelter Mountain. I will have to think about the rest but Dee will post a map tomorrow and I will continue to look at the map as it might be talking about Areas around Durango rather then telling us a place. Coming back in - again, theres also Barnroof Point and further North West Baldy Peak. Twin Buttes could also be linked in to the Lovers card. I could even see areas North around Grand Junction along 50 route, White Water Palisade and a vinery and Monument area in a huge circle there and have a map I could upload. There is even a 'corn lake' but its possibly all coincidence. The problem is Location is so tricky that it is possible that we could just be shown areas around Durango in a wider spectrum by Tarot and really until I can break things down more we have to accept that Tarot cannot actually name a place unless we are VERY lucky! The only thing is to write suggestions or possible links and hope something comes up. The worst situation is suggesting anywhere due to the searching and resources it takes to do that. I am very aware of that, so that is why Location is in a very early experimental stage. Please bear this in mind. Dee also wants to point out Lookout Mountain. The father of missing Colorado teenager Dylan Redwine said he believes his son is still alive. 3 days ago – The father of missing Colorado teenager Dylan Redwine said he believes his son is still alive. picked up a scent near Vallecito Lake, one of the focal points in the three-month search. "We had a couple of hits in that area," said Wendy Kessenger of K9 Forensics. "What we did is we moved it closer to east side of lake where the five branch rivers flow into each on that side and we had many alerts going off there." Sadly Dylan has been found and this is a story to unfold with other information that may come to light. Tarot has picked out some elements. Dee has Vallecito Lake on the Map.The area Dylan was found was Middle MOUNTAIN Road - the 'M' in Tarot and the Mountain it mentioned. 4 days ago – Searchers find remains of boy missing since November in southwest Colorado. Criminal investigation continues, but cause of death unclear. About 45 law enforcement and search and rescue workers discovered Dylan's remains and other items while searching along 12 miles of Middle Mountain Road, said sheriff's department spokesman Dan Bender. Mark Redwine said investigators told him they had found only four or five of his son's bones and that they would continue searching. He said authorities told him his son was ravaged by wildlife. Investigators also found a piece of the boy's shirt, one sock and his shoestrings but not the backpack or other items he had when he went missing, Redwine said. The Middle Mountain area is north of Vallecito Lake, rugged with dense forests, very steep drainages and deep canyons. 1 day ago - Partial remains of the boy were found this week after he went missing seven months ago. Heavy Police Presence at Dylan's Father's home. Searchers in La Plata County continue to pursue tips that might lead to the discovery of Dylan Redwine, the 13-year-old boy who has been missing since Nov. 19. Monday, the sheriff's department said it had received a tip over the weekend about a stranger in the area the day Dylan was reported missing, and they're asking for the public's help in identifying him. The person who gave the tip said the man asked where to find gasoline on the north side of Vallecito and said he was looking at rental property in the area. He was described as Hispanic, between 45 and 50 years old, about 5 feet, 10 inches tall and about 170 pounds. He had dark hair. Investigators continued to seek information from anyone who was in the area during the time Dylan was last seen. "If anyone feels they may have seen something unusual in Vallecito before or soon after Dylan was reported missing, we encourage them, including the man looking for rentals that day, to contact the Sheriff's Office," La Plata sheriff's spokesman Dan Bender stated in a media release. "They may not feel what they saw has any connection to Dylan's disappearance. But we would like to hear from them and let Law Enforcement decide if it might be important." There is a reward of more than $50,000. LA PLATA COUNTY - Investigators were back out on Middle Mountain Wednesday afternoon, searching for additional clues that could lead them to Dylan Redwine's killer. Some of the 13-year-old's remains were discovered on a desolate side of Middle Mountain last week. Along with Redwine's remains, detectives also found the boy's shirt and one of his shoes. On Wednesday, investigators combed different areas of Middle Mountain with search dogs. Middle Mountain is located on the north end of Vallecito, a tourist community about 30 minutes east of Durango. Dylan Redwine disappeared from his father's home in Vallecito last November. Authorities are investigating the case as a homicide. On Wednesday, La Plata County Sheriff's Spokesman Dan Bender told 9NEWS the community should not be alarmed that a killer is on the loose, but he wouldn't elaborate past that. UPDATE 8/14/13 - Detectives from multiple law enforcement agencies showed up at Mark Redwine's door on Wednesday with a search warrant in hand. They removed sections of carpet and wood flooring, took a fireplace poker, clothing and a cell phone, and Redwine told KUSA News that they also dug a hole in his yard underneath an outdoor staircase. I almost wonder if it is possible that Mark did harm him in some way...but it was truly accidental, and it traumatized him so much that he is somehow forcibly repressing the memory? Maybe he truly does believe that he had nothing to do with Dylan's murder, because that's what he truly thinks.